In this article,i wan to share the guide on how to install blind spot information system (BLIS) for Ford F150 2015.Hope it helps! Note: if using FORScan to program modules, prior to disassembly; save a backup copy of the current Driver’s Door Module & Passenger’s Door Module (DDM & PDM) As Built programming. This will simplify and expedite programming the replacement DDM & PDM. Note: this BLIS installation guide assumes the vehicle has the XLT 302A level trim and already has fully functioning Non-King Ranch LED tail lamps (2015-17 HL3Z-13404-D RH/HL3Z-13405-DLH or 2018 JL3Z-13404-F RH/JL3Z-13405-F LH). Installing LED tail lamps is most easily accomplished by replacing the 13A409 tail lamp harness with the JL3Z-13A409-G harness. JL3Z-13A409-G harness supports: BLIS, LED Tail/Reverse/Turn & Stop Lamps, LED Bed Lamps, Trailer Assist Lamp, Rear View Camera and Tail Gate Lock Actuator. Requires using FORScan to Disable Rear Lamp Outage: change BCM address 726-27-02 from xxxx xxxx x1xx (1 = Rear Lamp Outage Enabled) to xxxx xxxx x0xx (0 = Rear Lamp Outage Disabled). 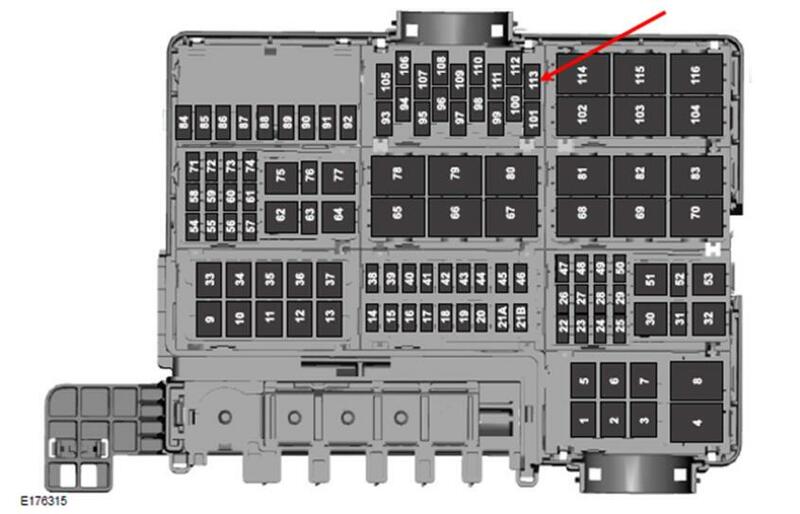 Confirm the presence of 7.5 amp fuse at location # F113 in the Power Distribution Box (Battery Junction Box – BJB). This fuse provides 12V+ to the BLIS modules. 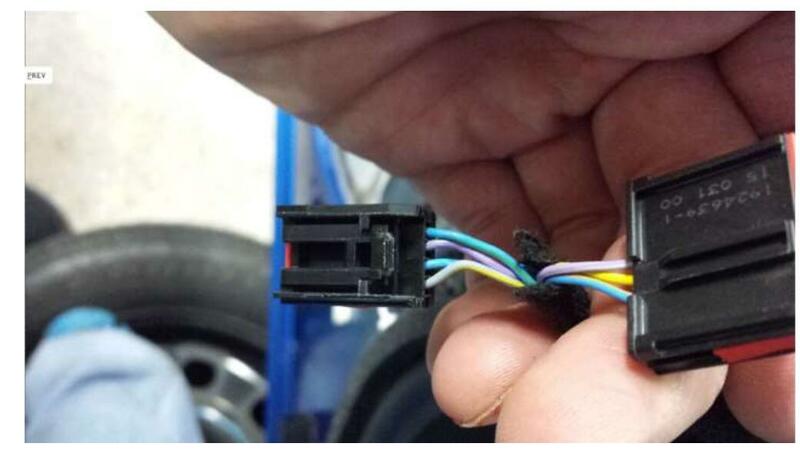 This fuse should be present if vehicle is equipped with factory installed rear view camera. The C408 12 pin inline connector is located at the rear of the LH frame rail. 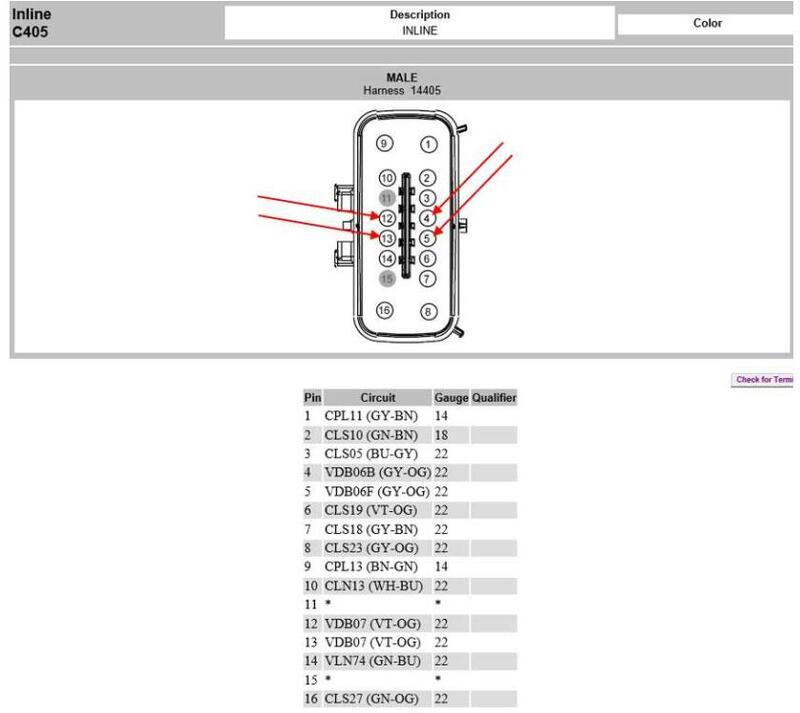 Confirm the presence of WH-BN /CBBB3 wire at location # 8 of C408 male connector of the 14405 frame harness. 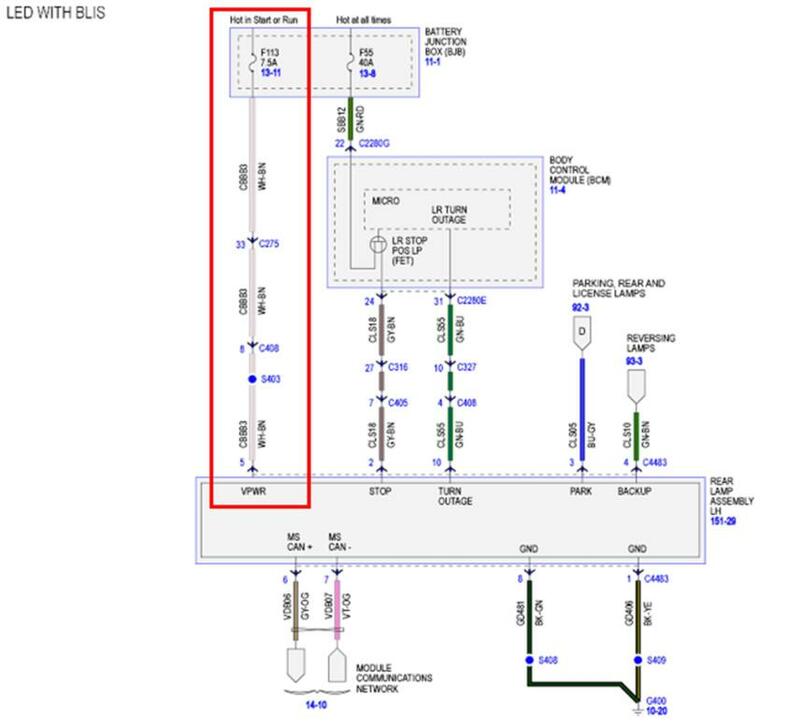 This wire provides 12V+ to the BLIS modules. This wire should be present if vehicle is equipped with factory installed rear view camera. The C405 16 pin inline connector is located at the rear of the LH frame rail. 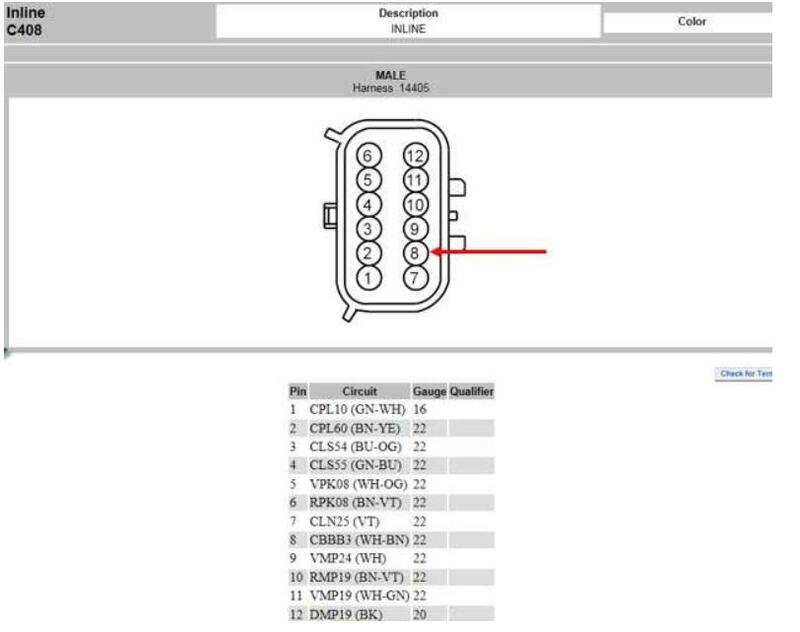 Using (4) EU2Z-14421-CA (Motorcraft part # WT-1013) Terminals, the C405 male connector of the 14405 frame harness must have 4 wires added at location #s 4, 5, 12 & 13 for the CAN Bus circuit**. (2) short jumper wires installed between terminals # 1 & 3 (GY-OG / VBBB06) and 2 & 4 (VT-OG / VBBB07) at the C327 female connector of the 14405 frame harness. These (2) jumper wires can be extracted from the 14405 frame harness and cut to allow connection of the (4) additional wires to the C327 female connector or (4) DU2Z- 14474-DA terminals can be used. 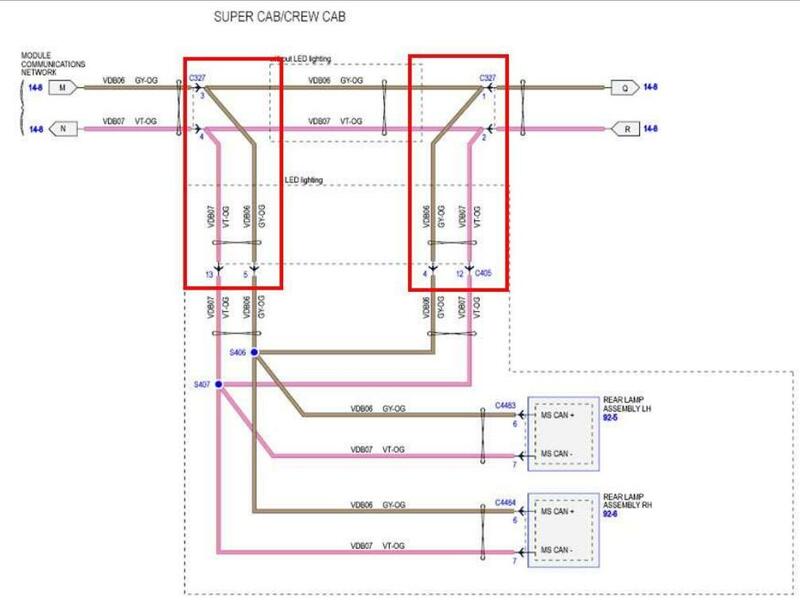 Note: The wiring at locations 1, 2, 3 & 4 (terminals 1 & 3 (GY-OG / VBBB06) and 2 & 4 (VT-OG / VBBB07) for the CAN Bus circuits should already be present at the C327 inline male connector of the 14A005 cab harness. **Note: Circuits 4 & 12 to 1 & 2 and 5 & 13 to 3 & 4 should each be a separate twisted pair of 22 gauge wires. o XLT driver’s side door harness has a 4 pin C505 connector at the door lock switch. Lariat driver’s side door harness has 8 pin C541 connector at the door lock switch. 4 Wires from terminals #7, 6, 8 and 2 must be removed from C541 connector and transferred respectively to Pins 1, 2, 3 & 4 of C505 connector body. 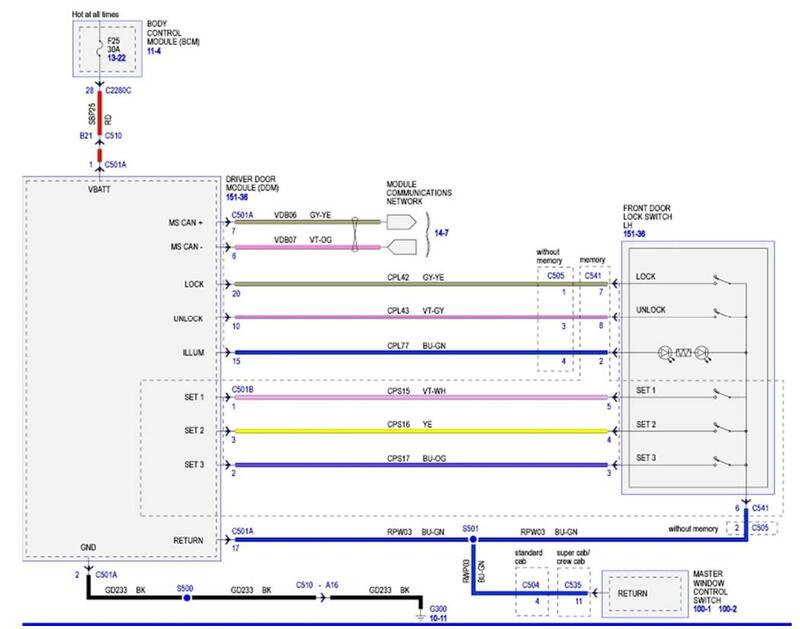 Refer to attached wiring diagrams. C541 8 pin door lock connector (with remaining 3 wires for memory circuit),exterior front door handle switch connectors (C543 & C634) and interior front door handle ambient lighting connectors (C573 & C649) won’t be used and should be neatly secured out of harm’s way. o Program new DDM & PDM with original As Built values that were saved prior to disassembly. Clear any DTCs that were created during programming of the modules and check for any DTCs that can’t be cleared.